The 2017 PokerStars Spring Championship of Online Poker $10,300 no-limit hold’em main event drew a field of 693 entries, building a sizable $6,930,000 prize pool. In the end British poker pro Charlie Carrel emerged victorious, capturing the title and a first-place payday of $1,200,899. 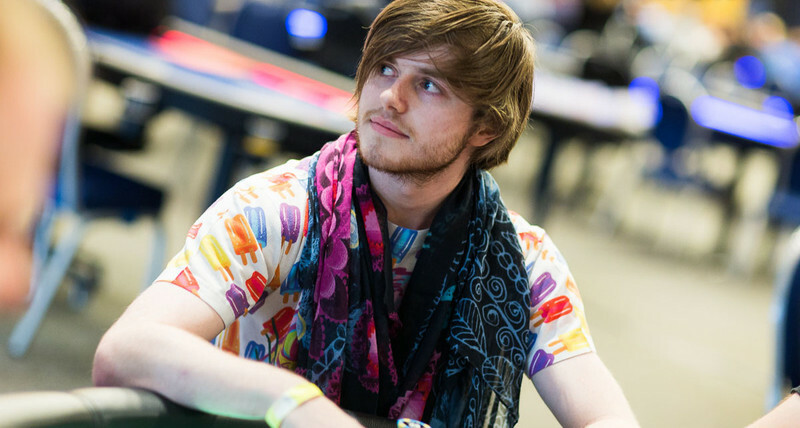 Carrel had an absolutley stacked final table to deal with, including the likes of Emil “maroonlime” Patel (9th – $91,058), Connor “blanconegro” Drinan (6th – $250,723) and Ola “Odd_Oddsen” Amundsgard (5th – $351,414). He entered the final nine as the short stack, but was able to mount a comeback during the middle stages. When he eliminated Amundsgard he took a chip lead into four-handed play. Harrison “gibler321” Gimbel took out both “Garrin4e” in fourth ($492,543) and “th’Kick” in third ($690,349) to set up the final heads-up battle with Carrel. Gimbel, who won the 2010 PokerStars Caribbean Adventure main event, started heads-up play with just under a 4-to-3 chip advantage. The two paused the clock to discuss a deal. Ultimately they decided to lock up $1,122,874 for Gimbel and $1,100,900 for Carrel, leaving the title and $100,000 to play for. Carrel was able to mount a quick comeback and overtake the lead. By the time the final hand arose Gimbel had only about 5 million of the 35 million chips in play. Gimbel moved all-in from the button for under ten big blinds with the K 9 and Carrel made the call with the J 8 . The board ran out A 10 5 J 5 to pair Carrel on the turn, securing him the pot and the title.